Thank you for joining today’s media conference. I hope this time will be fruitful for you, for us and for Singapore Football. 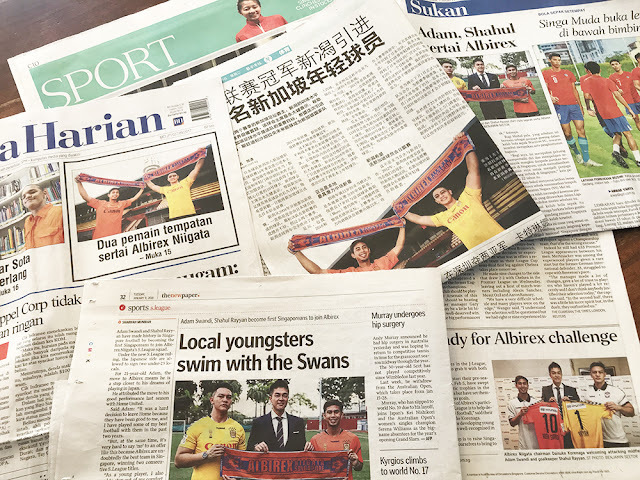 The objective of Albirex Niigata’s participation in S.League is to help develop Singapore Football. In another word, to help strengthen the Singapore National Team. Since our participation in the S.League in 2004, we have been working hard towards building a strong team so that we can provide real challenges to the local clubs, and in turn, benefiting the Singapore National Team. Our successful seasons in 2016 and 2017 proved that we have met this objective. From 2018 season, change for Singapore Football with the various age restrictions kicking in for both local clubs and Albirex. We considered that it is an appropriate time for us to contribute more directly to Singapore National Team by recruiting 2 Singaporean players. We have been lobbying FAS for many years and we are grateful to the FAS management for finally agreeing to our proposal. We have known Adam Swandi since 2011. And he is one of the first Singaporeans we brought to Albirex Niigata, Japan, for training attachment. Once in March 2012 for a week, and the second time in Sep 2012 for one month. We think that he will be key player in the Singapore National Team for years to come, if he continues to work hard to improve himself. 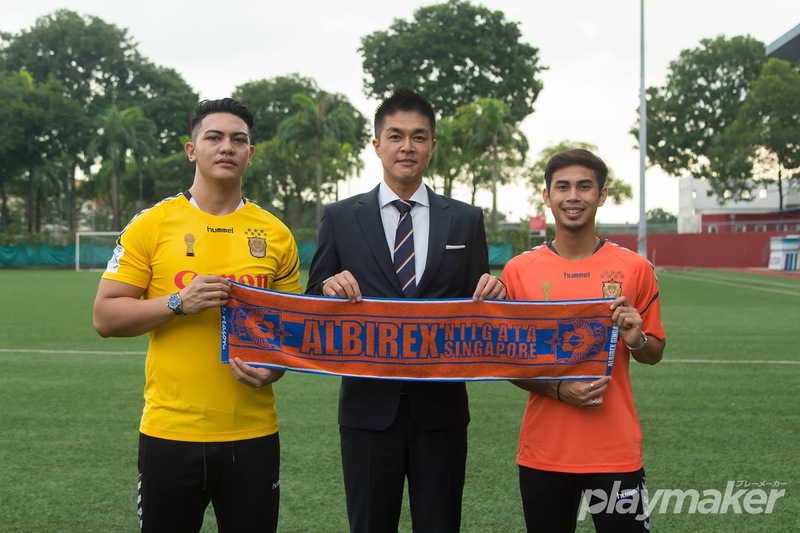 In Albirex Singapore, Adam will be wearing the no. 10 jersey, which is usually reserved for the best attacking midfielder in Japan. It is a belief that he will become a key player for our team, as he learns to adapt to our football philosophy, playing style and club culture. Next, I want to talk about Goalkeeper. Goalkeeper is one of the important positions in a football team. Shahul Rayyan represents the next generation of goalkeepers in Singapore and we think that he has good potential. He has a good height, body build, and already played 9 games in the S.League. But goalkeeper need experiences. We think Shahul will be in good company with our 38 years old goalkeeper, Nozawa, who has played around 300 games in the J.League. Nozawa has played under many different goalkeeping coaches in J.League and has developed his own coaching philosophy. And totally he is a professional player and many young players look up to. Shahul will definitely benefit playing with Nozawa. In the footsteps of the S.League 2016 Player of the Year, Atsushi Kawata, our centreback for 2017 season, Yanagi, has also signed for Albirex Niigata Japan for season 2018. In addition, some of our 2017 players have joined clubs in the J.League. Inaba has signed for Kataller Toyama, Akiyama for Ventforet Kofu, and Sano, for Roasso Kumamoto. Motoda, whom we loaned from Mito Hollyhock in 2017, will return to Mito for 2018. 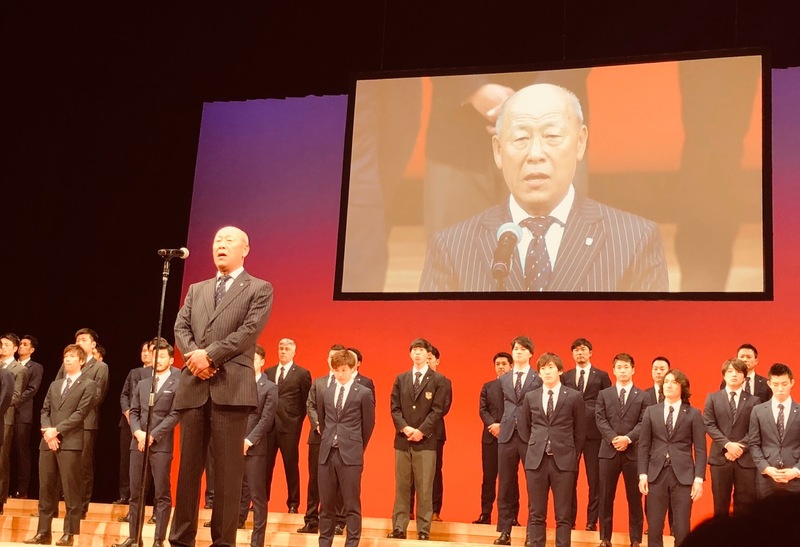 Our record for developing young players has been well recognized in Japan. Our next step is to raise Singaporean players ourselves for bringing to J.League. We believe this is to help strengthen the Singapore National Team. We don’t want to be known just as a foreign club in the S.League. We have vision and have taken action to contribute to the development of Singapore Football in many areas. Thus, we need to bring big vibrancy to the S.League every season. That is, our reason for existence.